Gran Via San Marcos, 38, 24002 Leon, Spanje. A perfect combination between elegance and functionality in Leon. The Quindos Hotel is a modern and comfortable establishment, located in the shopping and monumental touristic tour from Leon. The spaciousness and the modern equipments from its rooms are one of the characteristics of the Quindos Hotel. All of the rooms are elegantly decorated, creating the idyllic atmosphere for work, leisure time and breaks. 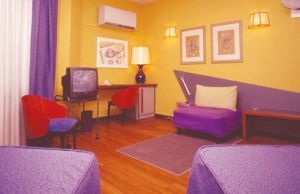 The hotel offers, among other facilities, Wi-Fi connection, car park and pleasant social lounges. Its well-known and famous restaurant 'Formela', represents one of the best gastronomic alternatives of Leon, offering typical dishes from the region with internationally famous recipes. 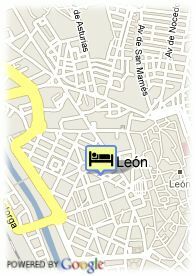 A hotel with much charm and quality fully in the center of Leon.